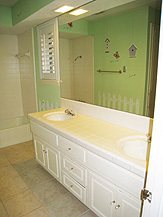 The Dallas, Texas parents moving their tween and pre-tween boys into this 1960s ranch asked to hit the reset button on their Jack-and-Jill bathroom. 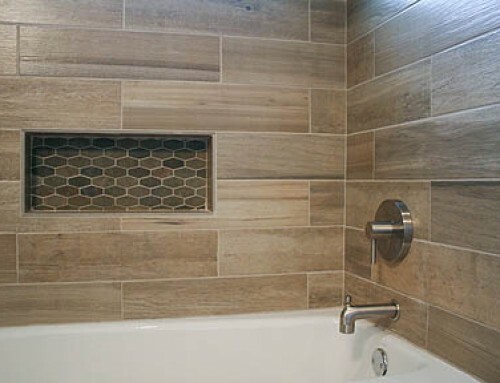 Dated tile, cabinetry and bulkheads come out, and rugged masculinity befitting young brothers goes in. 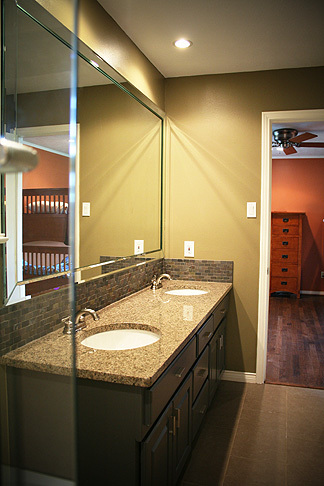 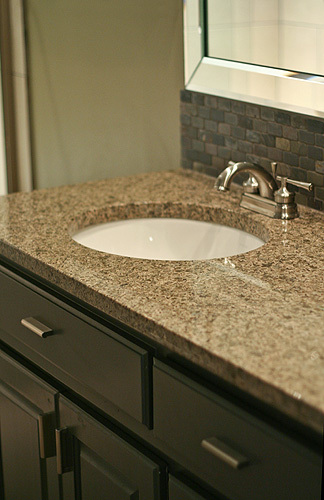 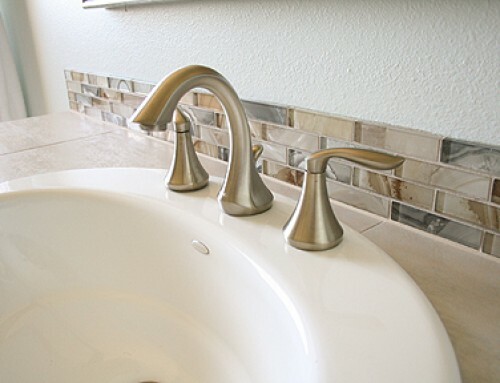 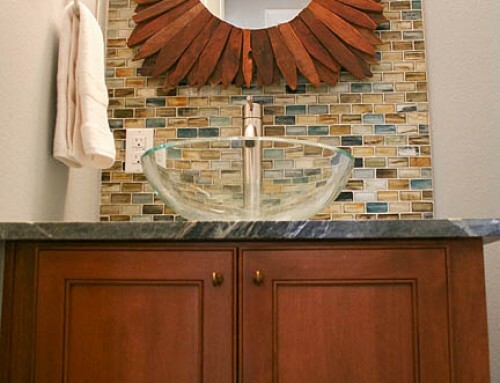 A slate, brick-style mosaic backsplash complements the new granite countertop on the double vanity. 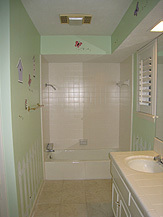 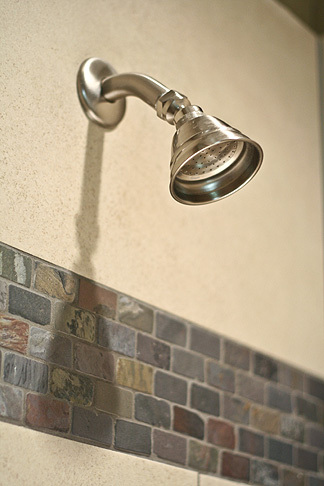 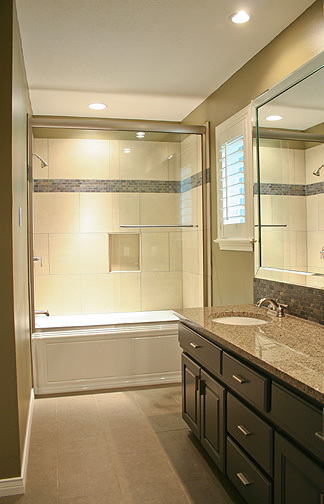 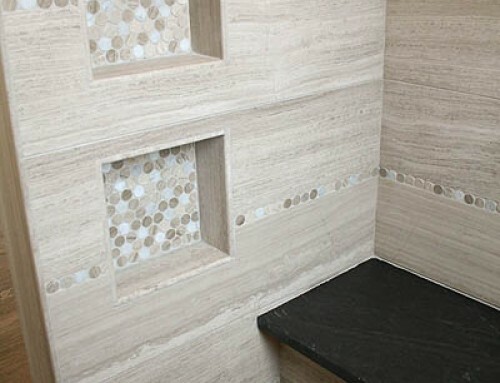 The slate mosaic is repeated as a border in the shower, adding a hint of rustic flavor to the room. 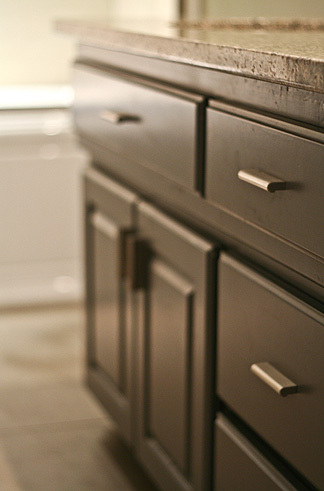 The hardware on the new cabinetry is sleek and simple.